CBR 150R ............." LIVE TO RACE"
At the Auto Expo, HMSI gave a glimpse of its upcoming product strategy by unveiling 7 new India specific two-wheelers across all motorcycle and scooter segments. These include the much-awaited 110cc mass motorcycle Dream Yuga, sporty performance motorcycle CBR 150R, new 2012 model of CB Shine, new 2012 model of CBR 250R (new color) in mass production motorcycles; New 2012 model of Dio in automatic scooter and VT 1300CX, new CBR 1000RR Fireblade in big bikes portfolio. But the biggest surprise was the launch of the Honda CBR150R. 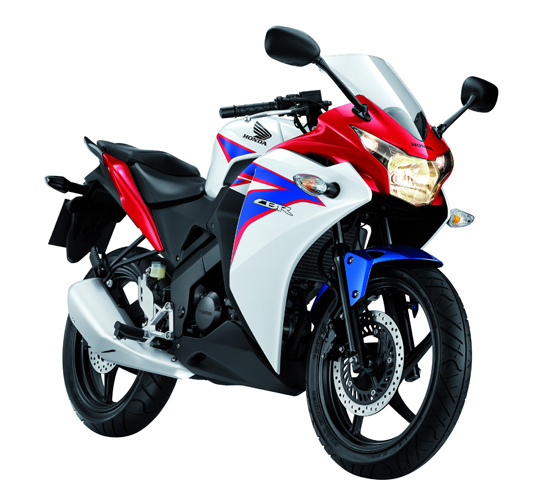 The CBR150R will be available in two variants – Standard and Deluxe. According to reports, the CBR 150R produces 18 bhp@10,500 rpm and 1.28 kgm@7500 rpm from its 150cc DOHC single-cylinder mill which employs liquid cooling and fuel-injection. 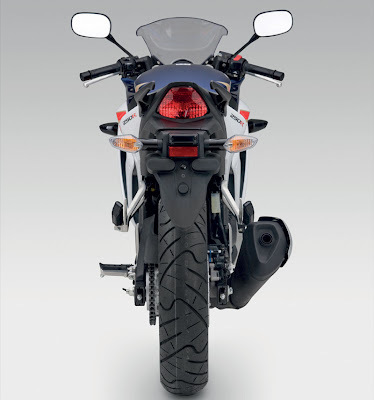 Bodywork is largely identical to that of the CBR 250R, which means there's the dual-layered fairing, a stubby exhaust and a Y shaped headlight. Also included in the features list are digital meters, front and rear disc brakes, tubeless tyres and a monoshock at the rear. According to reports, the motorcycle sports a twin tubular frame. The CBR 150R will be available in two variants - Standard and Deluxe. The Standard can be had in two shades, Black and Red, both set against Pearl Sunbeam White while the Deluxe sports additional sporty decals and two colours - Candy Palm Green and Vibrant Orange, both set against Pearl Sunbeam White. The reports state that the specification sheet and features list of the CBR 150R definitely look far superior to that of the Yamaha R15 V2.0 and how it is priced remains to be seen. Alongside the CBR 150R launch, HMSI also unveiled a new paint scheme for the CBR 250R - Pearl Heron Blue - which is a typical Honda white-blue-red combination as seen on many iconic Honda motorcycles, according to reports. The CBR150R shares most body panels with the bigger CBR 250R. The CBR 150R is expected to be priced below Rs 1.2 lakh. This is the re-designed model of CBR 150r because of its competitor Yamaha. Now the time has changed, the bike has occupied the top position like never before. please provide more details about it. yes, definitely . You can get more info about Indian bikes soon on our blog or our Facebook page.